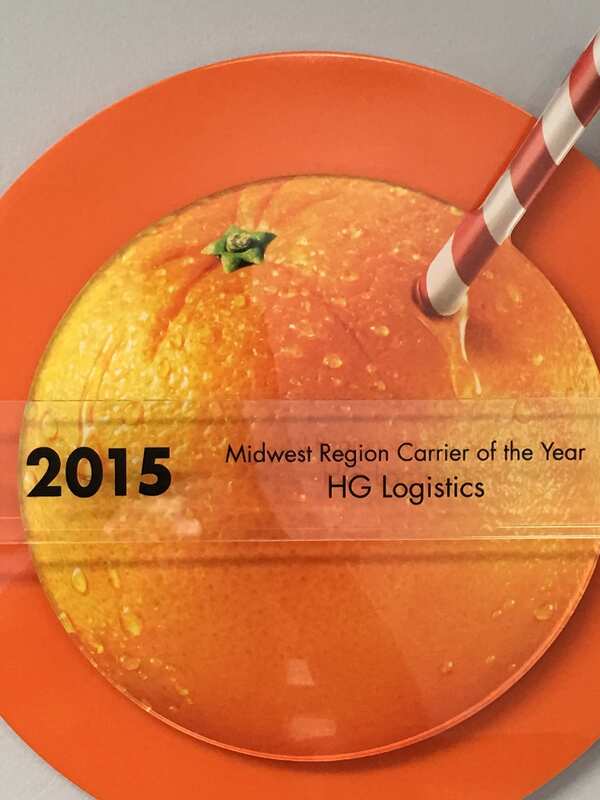 HG Logistics was awarded Tropicana/ Pepsico North America’s Midwest Region Carrier of the Year for 2015. This is the second time that Diana Trusty’s hard work and dedication to her customers has payed off. Diana, the account holder for the Tropicana account at HG, won the Tropicana Central Region Carrier of the Year award in 2013 as well. Upon being congratulated, Diana can be heard saying “WE earned this”, demonstrating how her attitude and respect for teamwork can bring great reward. Commitment to quality, teamwork and respect for coworkers is something that everyone should value, and Diana demonstrates all of these attributes. She accepted the award last week in Florida. If you want to work with an award winning group, contact HG Logistics, a third party freight broker in Cincinnati, Ohio at 513-244-3026.